Topics: Interim Procurement Services, Interim Management, Supplier Management, Recruitment, and & Training. Its 2 nameservers are ns1.xssl.net, and ns2.xssl.net. It is hosted by United Hosting Ipv4 Assignment (England, Hempstead,) using Apache web server. 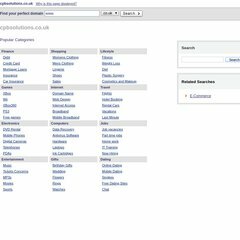 Cpbsolutions.co.uk's IP address is 83.223.125.185. PING (83.223.125.185) 56(84) bytes of data. A ping speed test response, is timed at 143 ms.